London became a Fairtrade City on 23rd October 2008, and we are proud to be part of the Fairtrade Towns movement. The Fairtrade Towns movement aims to bring jointly people from all sectors of the society to promote Fairtrade and the FAIRTRADE Mark. It was initiate by a group of supporters who affirmed Garstang in Lancashire the 1st Fairtrade Town in 2000. The campaign caught the mind of local campaigners, politicians and businesses. 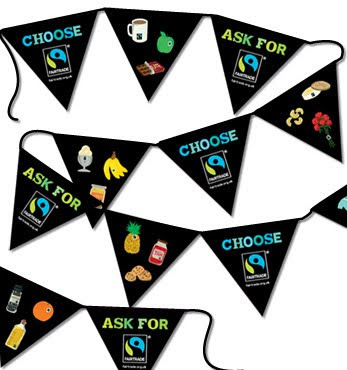 It tenable media coverage across North West England and ensured that many more people could recognize the FAIRTRADE Mark and understand its purpose. There are now over 500 Fairtrade Towns in the UK, as well as more than 200 areas agitation towards Fairtrade status. The occurrence has not stopped at the border. In addition, there are now 1000 Fairtrade Towns in 20 countries around the world… all of these enthused by the example in the UK. In order to be awarded Fairtrade Town status, towns have to meet each of the Five Goals. The goals aim to add to the presence of the FAIRTRADE Mark and Fairtrade products all through the local society, including the local council, faith group’s members, businesses and schools. 1.The local council must pass a resolution supporting Fairtrade and commit to serve Fairtrade coffee and tea at its meeting and in offices and canteens. 4.The council must attract fashionable support for the campaign. 5.A Fairtrade Steering Group must be convening to ensure continual commitment to Fairtrade Town status.